The Fifth Circuit recently addressed whether an employee who was placed on a two-day unpaid leave suffered a “materially adverse action” by the employer such as to allow him to defeat a summary judgment on a Title VII retaliation claim. In Cabral v. Brennan, a Mexican-American employee in his mid-40s was placed on unpaid leave after he failed to produce a valid driving license requested by his supervisor. Cabral, who had a history of filing multiple discrimination, harassment and retaliation complaints, claimed that he was placed on leave in retaliation for filing such complaints. The US Post Office, his employer, claimed that he was placed on unpaid leave (and later reimbursed) because his supervisors believed that his license had been suspended for a DWI conviction. The Fifth Circuit agreed with the US Post Office and explained that not every unpaid suspension qualified as a “materially adverse action” by an employer under Burlington N. & Santa Fe Ry. Co. v. White, 548 U.S. 53, 68 (2006). Unlike the plaintiff in White, whose 37-day probation caused her to fall into a deep depression, Cabral failed to show that his suspension exacted a physical, emotional, or economic toll on him. His conclusory statements attesting to the emotional or psychological harm he suffered because of the two-day suspension, without documentation of any alleged harm, did not provide sufficient evidence of a materially adverse action to defeat summary judgment. CONCLUSION: Cabral decision clarifies that an unpaid suspension is not a per se materially adverse action. An employee must show that unpaid leave caused him or her physical, emotional, or economic harm via some documentation and not just conclusory statements in order to establish a “materially adverse action” by the employer. In Part I, I outlined the EEOC process of investigating a charge of discrimination. In this part, I describe the steps that an employer should take in responding to an EEOC’s charge of discrimination or retaliation. 1. Calendar the Deadlines. Don’t think that because the employee’s complaint to the EEOC is “ridiculous” or “silly” in our eyes, that you don’t need to respond. You should always respond, no matter how trivial or ludicrous the complaint is in your opinion. So, don’t put the letter in a “I’ll-deal with-this-later” stack, but calendar the response date and other deadlines as soon as you receive the charge from the EEOC. Then, contact your HR department if you have one, and if not, consider consulting with an attorney who deals with labor and employment issues. 2. Determine if the Charge Involves an EEOC “Hot” Issue. Employers should take special note when a charge involves any of the six enforcement priorities highlighted in the EEOC’s Strategic Enforcement Plan (SEP), as that could mean that the case will get special scrutiny from the agency. If the charge alleges a violation related to the areas identified in the SEP, the employer should be extra-careful in responding to it. 3. Collect and Preserve Relevant Evidence. Determine which people and departments within your company will have information relevant to the charge and then contact them and ask them to collect the relevant evidence. Independently, your IT department should also help you collect and preserve the relevant evidence behind the scenes. 4. Schedule Interviews and Interview Relevant Witnesses. You will want to interview all the people mentioned in the charge, but also others who might have knowledge of relevant facts. Depending on the size of the organization and allegations, you might have to start scheduling interviews right away. You will have to decide whether you’d like your HR department, an independent third-party investigator, or an attorney to conduct such interviews. You will also need to determine in which order to line up the relevant witnesses. 5. Warn Against Retaliation. In matters involving current employees, the employer should remind everybody interviewed or involved in the investigation, that they may not retaliate against the employee in any manner for having filed a charge. Likewise, retaliation against anybody who testifies on behalf of the employee or assists the EEOC with its investigation is also prohibited. 6. 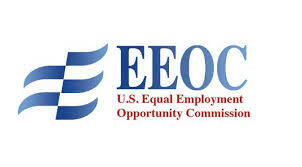 Establish a Point of Contact with the EEOC. Designate one person within the organization who will be responsible for contact with the EEOC’s agent assigned to the charge. This person should be professional, courteous, and somebody who is capable of and has the time to keep the EEOC agent apprised of any delays in the investigation. Cooperation and courteous working relationship with the EEOC is key! 7. Consider Mediation. Mediation affords employers an opportunity to resolve the issues addressed in a charge without incurring the cost of a time-consuming investigation. During this time, the agency investigation is placed on hold. In the event the matter does not settle, employer may be able to obtain additional information from the employee which may enable it to more effectively respond to the allegations in the charge. 8. Draft the Position Statement. See Part III for guidance on drafting a position statement. 9. Respond to Requests for Information. EEOC’s requests for information (RIFs) will most likely be over broad, and it is up to the employer to negotiate the scope of production. Negotiating to limit the time period or the geographic scope can help keep the costs down and limit the investigation to issues immediately at hand. The deadline for production of documents is also often negotiable. 10. Arrange for Employee Interviews. The investigator will usually notify you of the names of the employees that he or she will want to interview. You may be present during interviews with management personnel, but an investigator is allowed to conduct interviews of non-management level employees without your presence or permission. 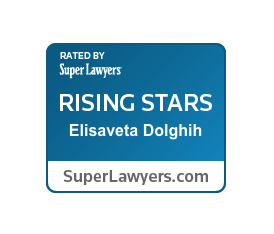 If the investigator asks the employer to arrange for such interviews, cooperation is the best approach.